Lace Curtains are a timeless window treatment that can work with multiple decor themes. These beautiful window dressings can be easily found at very affordable prices. Choosing the right curtains can make any room look sensational and pulled together. These types of curtains are easy to hang, and they allow more natural light into living spaces when desired. Always fashionable, curtains made from lace materials can look elegant, country casual, traditional, contemporary and other style options. Simply pick a suitable pattern, color, length, and cut style that coordinates nicely with each room's specific decor tastes. Lace enhances both bedrooms and bathrooms. Using lace fabrics in the bedroom is always a romantic accent that instantly creates a feminine touch. These window dressings can be just top valances in several style versions, or the lace fabrics can be layered and draped to create a more elegant and enchanting appearance. These sheer curtains add just the right amount of detail for any window wherever a bit of charm is desired. These look lovely gracing windows on step landings, and they are gorgeous in county casual or French country kitchens. A bathroom can be instantly brightened by adding some lace around the windows. Create an elegant, exotic, or warmly inviting appearance depending on the particular lace panel thickness, drape, color and overall style. Many have even used sensational lace panels in their living rooms. Used either as an under other draperies accent flair, or as a standalone whimsical statement designed to lighten the room's atmosphere. When considering these gorgeous window ideas, it is best to shop at better stores, like at Paul's Home Fashions, that offer a wide variety of stunning curtains made from lace cut in many attractive ways. Using lace fabric that has intricate patterns can make simple lacy curtains appear high end classy and incredibly chic. 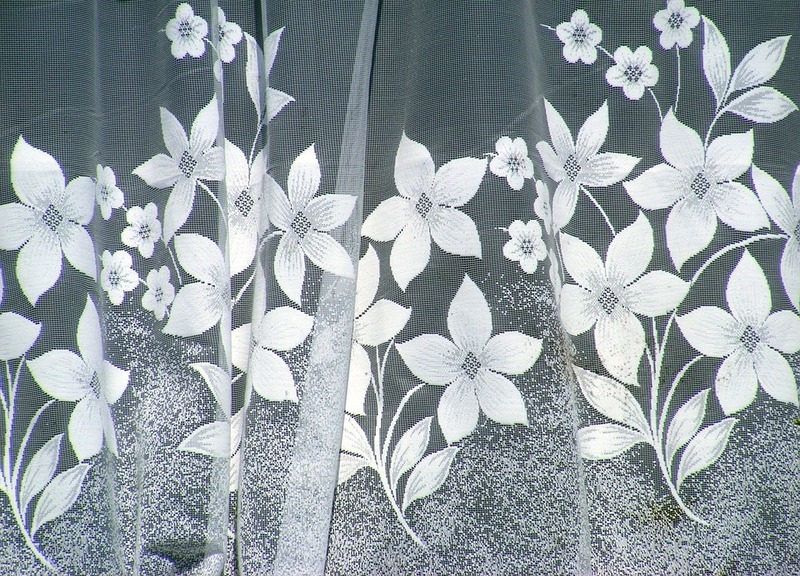 Curtains created of billowy lace always adds intrigue and beauty. Consider trying heavier lace panel options like macrame lace in a rich beige or light brown mocha shade. This can look vintage, yet stylish, even hinting of a bohemian flavor. There are heavier styles that offer thermal backings, and there are mesmerizing sheer designs that can look soft and angelic. These curtains come in many attractive colors suiting any personality. Lighter neutrals, like creams, antique whites and light tans or beige tones, are easy to incorporate into any interior design style.